Thursday there were no MLB plays however we had one 1/2 unit play in the NFL with the Bears +3. After going ahead 11-0 at Green Bay the bears found themselves down by 12 going into the 4th quarter 11-23. The bears on the last play of the game completed a 22-yard touchdown pass by the 3rd string quarterback Shaw to get the backdoor cover!!! Yes the NFL is now here!!! Time to get on board. Pick the subscription of your choice and join our group for the fun of the entire football season. Two our way and one against. Today I have sent out a one unit play and 6 Big Move Games. There are a few other games with potential but too early to make a decision yet as to plays except for the one I sent out very early this morning. I have gotten a few new people browsing the site in do doubt because we are staring at the NFL regular season in a few weeks. This tends to be the busiest time of year for sports bettors and handicappers. I want to give a word of advice to all regardless of whether you join our group or not. Every year now I give this message out and as each year goes by the message stays as important as the first time I sent it out about 15 years ago! The recurring pattern with Sports Bettors is to overbet the first several weeks of the NFL. The psychological explanation behind it is very similar to what you see for Sports Bettors and how they wager on the Superbowl or in poker terms at what limits players play in cash games during the World Series of Poker. You have 8-16 limit Omaha 8 players who you would have to get down on your knees and beg them to start a 30-60 game with you and even then they would not do it. Those same players you see without any prodding at all jumping into the 75-150 Omaha 8 game with a 100-200 Kill! These are the players during the offseason that if they got 500 in the hole during a game you would think they need to be put on suicide watch. But then throw all rationality out the window and play in a game where a bad session could be in the neighborhood of -5000 to -10000 dollars. That’s human nature for you. Always entertaining to watch. But the message here is that almost without exception sports bettors expose themselves to being put out of action the first few weeks of the NFL by oversizing their bets. This is something you need to be aware of and before you make your first wager you should have a bet sizing method you plan to use through the entire season. If you do not have that plan in place save yourself the headaches and drama and just do not bet. As the result is going to be the same as its been year after year. If you do not change your method that has caused you to lose year after year then do not expect anything to change. However, if you do get a solid foundation for bet sizing set up and follow a “genius” like me plays things just might go a bit differently for you this season. Lightning does strike once in a while. 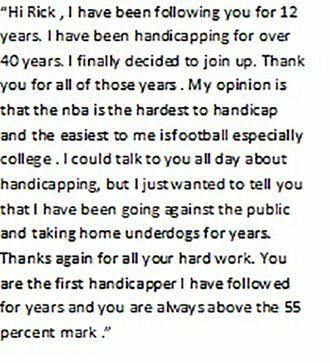 I am here to help not only with plays and educating solid handicapping techniques but also to help subscribers out with the proper bet sizing based upon each bettor’s unique situation. 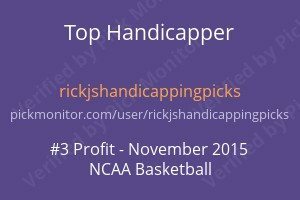 I am available to any subscriber for a private chat session to discuss the proper bankroll size and bet size. Just another added value to subscribing to perhaps the best football handicapping service in the country. Back to the markets and handicapping.